Here’s me early in my running/racing “career”. This one out in San Marcos was hilly and warm and, at the time, I was really happy with my 2:01:44. 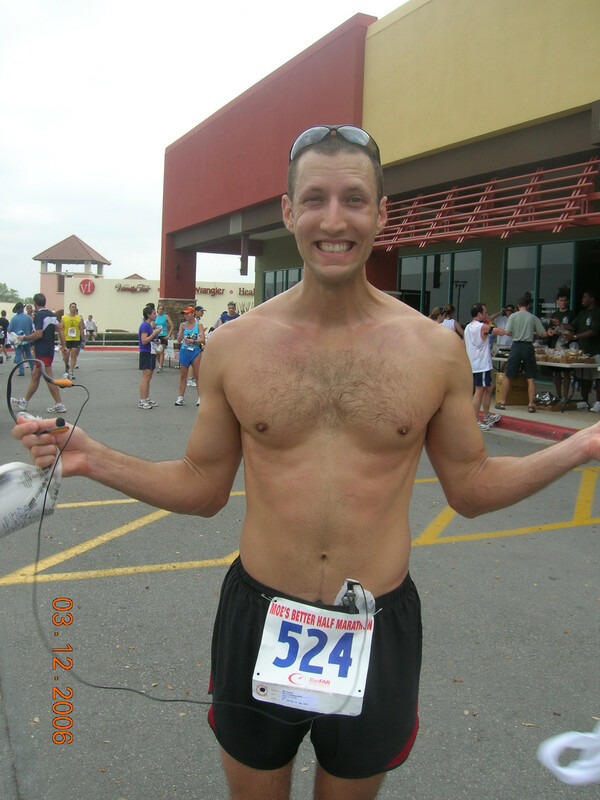 This was after I had shed all those pounds of pesky muscle but before I learned that it is ok to run faster, even if it hurts.